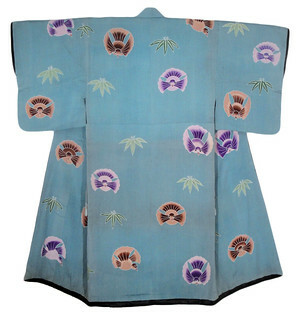 The least used items in my collection are yukata, dounuki, hikizuri and uchikake. 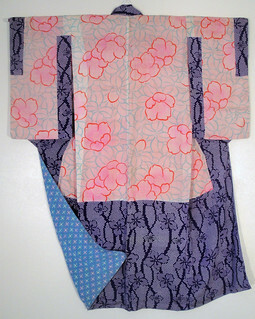 I have to confess, I am a bit of a yukata snob. I only own one yukata and most likely won’t own more. The last time I wore my yukata socially was in 2005 (with the exception of 1 hour for a panel a few years back – but that doesn’t count). While the yukata I have is actually quite nice and doesn’t look like one, I just really prefer the lushness of wearing an all ro or all sha ensemble in Summer. 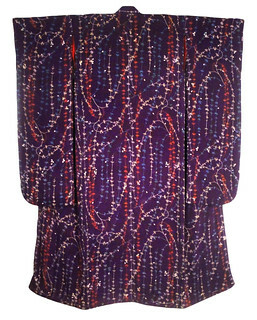 *Update* – I realized that by saying yukata snob, it might sound a bit derogatory. I don’t have an issue with yukata or people wearing them in general. It’s just a personal preference for myself – I prefer the feel of ro and sha. 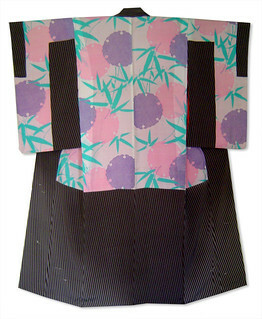 Also, it’s been difficult for me to find yukata in patterns and colours I like that are within my budget. 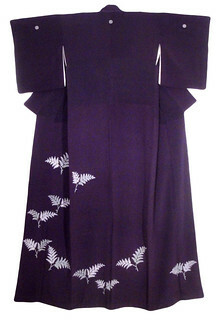 If I’m faced with a choice of a number of Taishō kimono vs 1 yukata – I’m gonna go for the kimono! One of my all time favourite pieces to collect are dounuki. Unfortunately, they are also one of my least worn items, simply because it gets HOT under all those layers, even in Winter! If I were to be outside all day in cooler weather, dounuki would be perfect, but once you enter somewhere that has a heater – it’s sweatville, which is very bad for those vintage dyes and textiles. With that said, I have worn two of them previously – and it most certainly doesn’t stop me from collecting them – I think they are a wonderful piece of kitsuke history, and who knows, maybe I’ll live in a climate perfect for them one day? I currently have three hikizuri in my collection – one Taishō era furisode hiki, one late Taishō geisha hiki and a Showa period geisha hiki (which I haven’t photographed yet). I have worn two out of three: my furisode hikizuri was worn for Cherry Blossom Festival in 2009, and my Showa period one for a geisha panel. Outside of that those two instances, these are collector pieces that rarely get used.